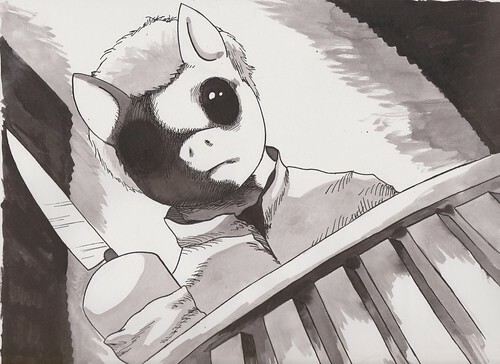 Michael Myers Pony, originally uploaded by Duskkodesh. A My little Pony Friendship is magic version of Michael Myers from the Halloween films. This was part of a set for a local comic shop!